When does an Olympic data network behave like a corporate one? It's been a Winter Olympics of new records - we've seen the first ever British Olympic medal on snow, legends like Shaun White in the half-pipe and Shani Davis in the speed-skating have been usurped by younger contenders and we've witnessed the first Olympic shared gold in Alpine skiing. The network behind the Games has also delivered its share of records: the first time IPTV has been used to transmit live TV feeds to the Olympic family over the games network, the first time wireless network traffic has outnumbered wired traffic at a Winter Games and the first fabric-connected network to be deployed at an Olympic event. While all this is very exciting, you may be wondering how Sochi 2014 relates to the businesses which make up the vast majority of Avaya's customers. In reality there are many parallels between the average business network and that of these Olympic Winter Games. Regardless of the scale and profile of the project, organisations of all sizes face many of the same challenges and therefore should follow the same best practice approach. IT managers everywhere will be familiar with the key issues our team has faced in Sochi: addressing huge data demands on the network; operating across multiple sites and the rise of BYOD. As the opening ceremony began, thousands of Olympic family members connected to the Games network, creating a significant peak in demand. At the moment when the main character, Lubov, floated above the audience in his troika sleigh, 250MBPS of data was streamed over the network as the Olympic family posted photos, messages and emails. Last week, in a sample four-hour period,5,130 MB of data travelled over the network to Twitter - the equivalent to 10,000 photos being tweeted in that time. Businesses today are also faced with greater volumes of multi-media content as well as spikes in network demand. They are having to assess their networks to ensure they have the capacity to operate effectively. Many are already adopting tools that allow them to free up space by determining the user's identity, status and the type of device they are using, thereby granting a type and level of access, dependent on who they are. As I wrote in my second post in this series, Sochi 2014 has been taking place in a variety of venues across two very different sorts of environments. The network is providing seamless connectivity and consistent quality of service, for the Olympic family, across all 11 competition venues. Likewise, many businesses work across different types of sites from factories to head-offices to retail outlets and smaller branches. Additionally, many organisations cater for employees who want to work from home, from other offices, and on the move, as effectively and securely as they would at their 'desk. 'The common architecture and centralised management of the Games network that is providing a seamless experience for users, is easy to replicate in a business environment. 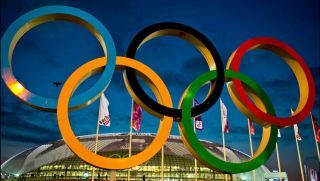 Creating a secure BYOD environment for the Olympic family has been a vital ingredient of the success of these Games. Olympic family members have been taking their devices everywhere. For example, data from inside the stadium during the opening ceremony showed that around 58 per cent of network connections were from smartphones, 37 per cent from laptops and 4 per cent from tablets. The Olympic network caters for a range of different user groups and many different devices while ensuring bandwidth is protected and security breaches are prevented. As I mentioned earlier, identity management for network access is a technology that businesses are increasingly adopting to ensure they can cater for myriad devices used by employees, suppliers and customers, in an open but secure way. While the scale of Sochi 2014 is obviously much bigger than that of an average business network, the principles behind both are the same. We all need to embrace and enable the new era of communications we live in today, as the Sochi network has done. I think that the biggest 'takeaway' for businesses from these Games is that regardless of the scale and profile of the project, organisations of all sizes have the chance to create a network that delivers a great user experience while operating efficiently and securely. Dean is Director, Technical Architects World Wide Solutions Engineering and is the Chief Solution Architect for Sochi 2014 Winter Games. He was previously Chief Network Architect for the 2010 Vancouver Olympic and Paralympic Games and led Avaya to flawless Games. Dean's Olympic responsibilities extend from the conceptual design, to architecture, deployment and overseeing Games time support.